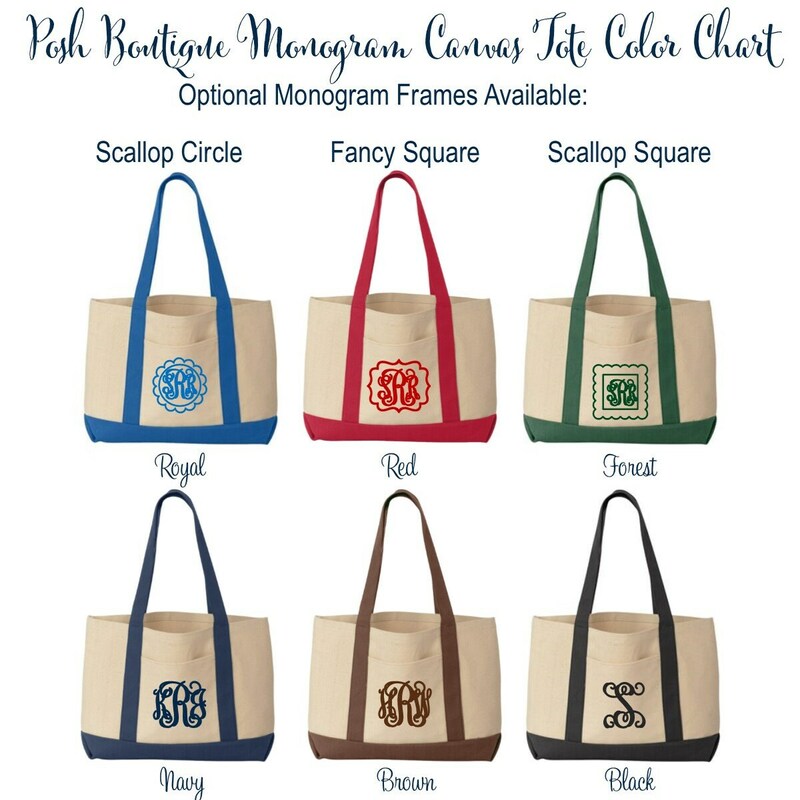 Our Monogrammed Canvas tote bags are an ideal weekend tote, and also make the perfect monogrammed gift or personalized bridesmaid gift, sorority sister gift, and teacher gift! The natural composition of canvas makes these totes water resistant, and a great choice bag for trips to the beach, lake, or for sitting poolside. 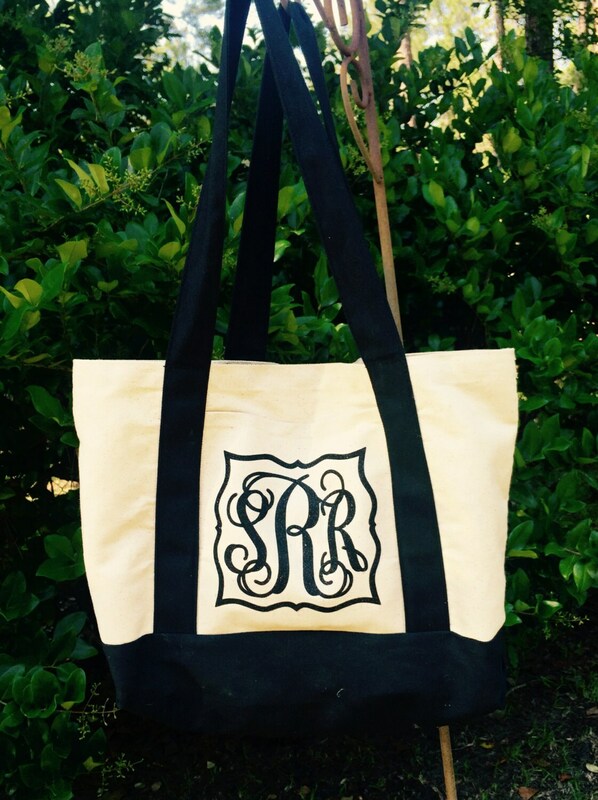 Choose from one of six canvas tote bag colors, and monogram with one of our many glitter heat transfer vinyl choices. We offer group discounts on 5 or more totes, just send us a message for more information! Our bags are made of 11 ounce cotton canvas and measure 19" x 12" x 4" with 11" handles. First, Please choose your bag color and monogram style from drop down menus. 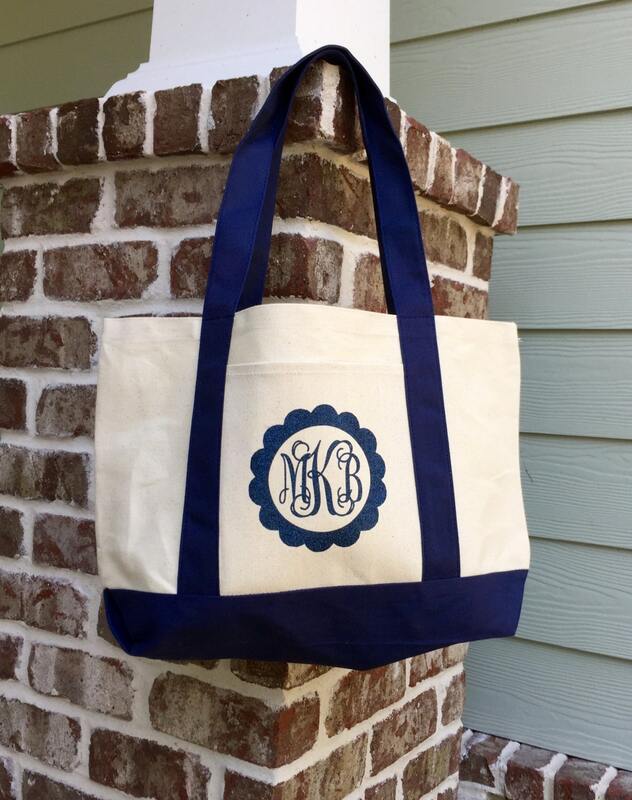 Next, leave in notes to seller your single initial or 3 letter monogram as you would like for it to appear on your bag. 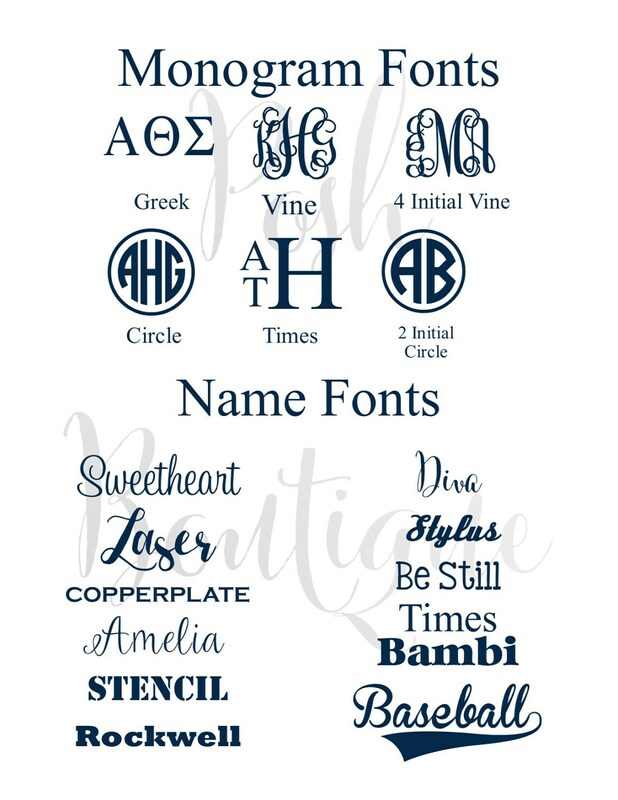 If you have any questions about ordering, or need to place a group order and need to find out about our group discount - please feel free to convo us and we're happy to help you place your monogrammed tote bag order! It was just what I was looking for. I had to ask a question and they got back to me fast. I had no issues and look to buy again. These bags looked great!!! I was very surprised at how good the quality of the bags were! The monogram and designs turned out great!